The Cleveland Cavaliers have an opening for a number one option with the departure of LeBron James to Los Angeles; it is time for Kevin Love to step back into that role. It is easy to forget that before arriving in Cleveland, Love was one of the top power forwards in the game when he was the number one option for the Minnesota Timberwolves. He arrived in 2014 and altered his game more than any other Cavs player to be able to play with James; much in the way, Chris Bosh sacrificed his game in Miami. Now that LeBron is LABron, Kevin Love needs to unleash the Wolves’ Love and carry the Cavs. One would think playing with James would be easy; he is going to create open shots after open shots. Just camp out behind the three-point line and he’ll deliver. The thing is though, it isn’t that simple, being his teammate means the shots you get are the ones he creates for you, not necessarily the shots that work best for your game. This isn’t any shade on James, he’s the best player on the planet, but it isn’t that easy to be his teammate. Love went from averaging 26.1 points on 18.5 field goal attempts in his final season in Minnesota to 16.4 points off of 12.7 attempts in his first year in Cleveland. With the Wolves, the ball often was in Love’s hands to create for others, he operated on the elbows, stepping out for three when defenders fell asleep on him, he came off pick the picker actions for jumpers and would seal defenders in the post. He was the focal point of the offense with sets all geared to get him different kinds of looks from three or in the post. Beyond scoring, Love’s passing skills were underutilized with the Cavs these past few seasons. He went from averaging 4.4 assists in the 13-14 season to averaging 2.05 over the last four seasons. In Minnesota, he was more than a willing passer and Kevin Martin was one of the biggest beneficiaries. Any heady player who knows how to cut, Love will find them. With his passing ability, this opens the door for his teammates to back cut and slip screens. The one part of Love’s game that basically disappeared was his amazing outlet passes. Teams had to always be ready for Love to fire off a near full-court outlet passes to wings leaking out. It was in every scouting report and pregame video I put together whenever playing against the Wolves (we still gave it up a ton). With his ability to do this, expect to see more flyby closeouts from the Cavs this season. A flyby is when someone closeouts on a three-point shooter (general on the arc) and sprints towards their basket hoping they get the rebound and an easy basket. Corey Brewer and Love connected several times even after made baskets. The Cavs teammates should get off and running when Love gets a rebound and even on made baskets. Even with the Eastern Conference up in the air, it is doubtful the Cavs will make the playoffs and they have already said they are not shopping Love. ( there is a big difference between shopping players and listening to offers) Since it appears Love is coming back, he should quarterback the offense, running pick-and-roll with rookie Collin Sexton, dribble hand-offs with JR Smith and Kyle Korver. They already run elbow actions with James as the facilitator, they can simply put Love in that position. Maybe a miracle happens and the Cavs have a shot at the playoffs but more importantly, if Wolves’ Love returns, it could raise his value and be a big chip come the trade deadline for a contender. The Cavs without LeBron are no longer contenders and probably not a playoff team. They still have a number one option on their roster in Love who no longer needs to sacrifice his game. Tyronn Lue and company should look to take advantage of all the skills Love that they haven’t tapped into the past four years. It is time to bring back the Wolves’ Kevin Love. 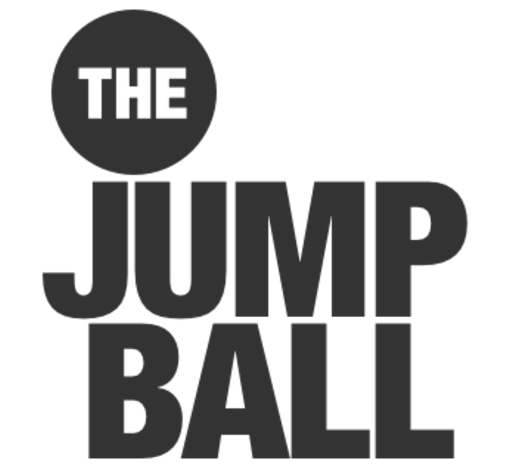 Brand Active Media is a proud sponsor of the Jump Ball. Cleveland may not be a Championship team without LeBron, but to say they are not a playoff team. Is going a bit far and insulting. Obviously the Cav’s can no longer play LeBron ball. Where everything came through LeBron. If LeBron didn’t have a open shot then you got the ball. Now that Cleveland doesn’t have Lebron. The Cav’s will have use more ball movement, use motion, set screens and use more hard pics on offense. Wait ! Holy Cow ! The Cav’s will have to go back to playing basketball ! With Cav’s current players, their young players and the new young players don’t be surprise if Cleveland doesn’t shock the World and return to the finals !